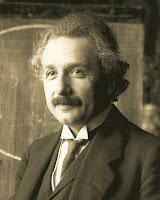 Physics Buzz: Was Einstein's "Greatest Mistake" Right After All? 2. heterogeneous completed - enough to postulate the presence in it of one more element - the Most High and Almighty God - with open exhibited systemic nature. Not hard to imagine that even at the lowest possible deployment intangible components the nature of God - the Spirit of God - for the level of the original downwardly directed continuous deployment the material component of the essence of God, there is a curtailment of SIMPLE and COMPLEX /i.e.. their decay occurs due to blocking of origin upwardly directed constantly deploy components of their intangible essences/, as the maximum possible heterogeneous nature of God to the minimum possible number of cell uniformity (№1h) and God on the basis of the material components of the minimum possible №1 deploys heterogeneous to its essence as possible numerical element uniformity (№2H). The process of clotting №2H begins at a certain point in time God begins at the end of its deployment. Curtailment of the Spirit of God to the level of initial deployment again unfolds №1H - God's potential for transformation into a №1H in №2H and №1H in №2H limitless!